We are offering Sugarcane Crusher Machine With Dustbin to our clients. 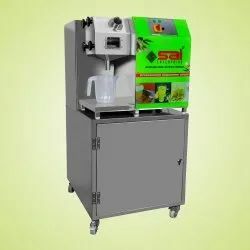 Sugarcane Juicer Size 8" For 4-6... Rs 27,400/per machine. Stainless Steel Imported Sugarcan Crusher Juice Machine. Its for extracting the juice from sugarcane & it can be driven manually & as well as can be operated on electric motor.